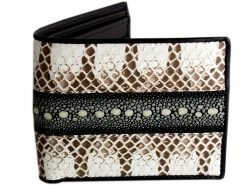 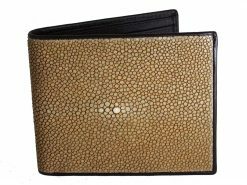 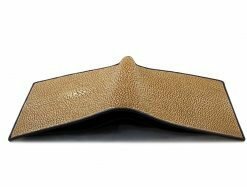 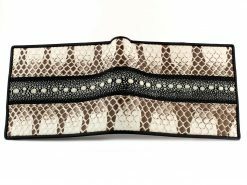 Exotic wallets made from snakeskin and eagle ray have been skillfully crafted together forming this wicked snakeskin wallet. 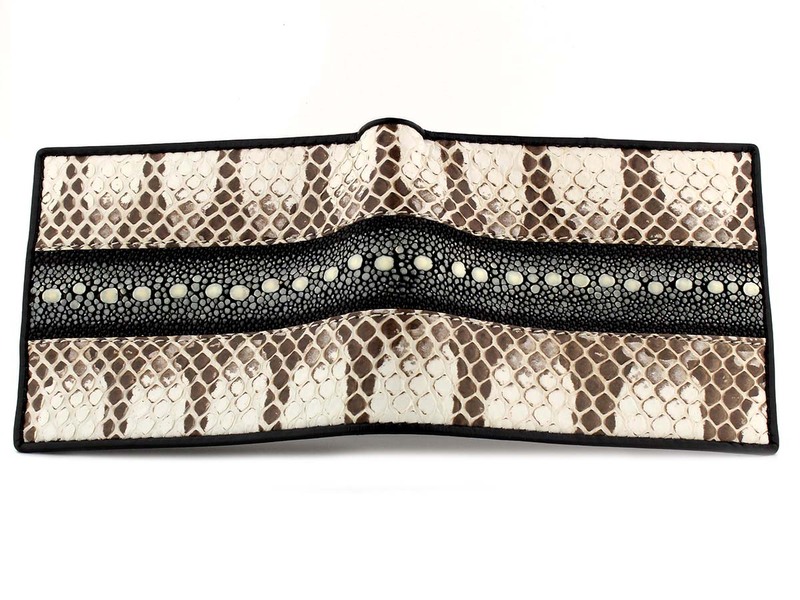 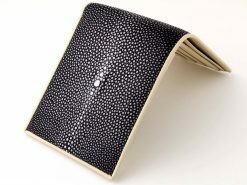 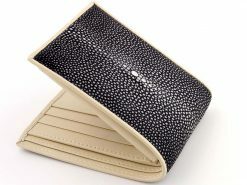 A long row of “pearls” from a stingray skin form the center band of this sleek wallet. 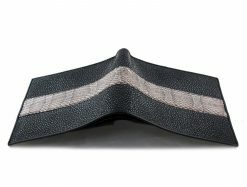 These are formed by sanding back the long row of spines along the ray’s back. 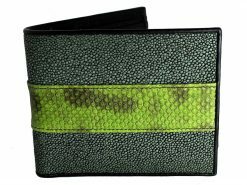 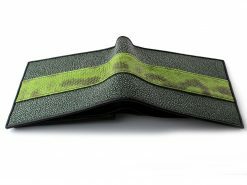 Flanked by the natural patterns of water snake and with a high quality leather interior, you won’t be disappointed with one of these “off the wall” wallets exclusive to us. 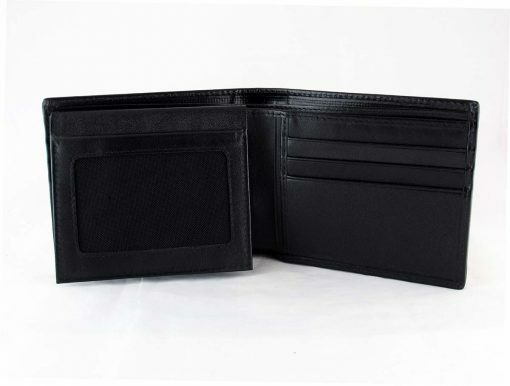 Nice wallet, feels nice. It’s real leather as well. 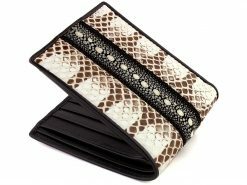 Just to bad that there isn’t any place to put coins. 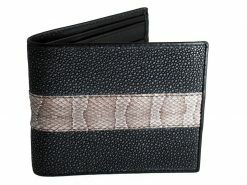 Despite that i really like it. 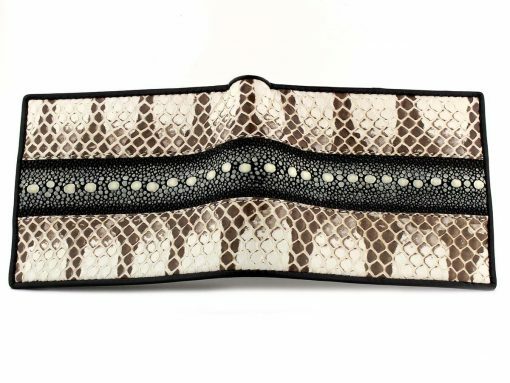 Got this wallet for my boyfriend and have to say thtat this is the most unique, beautiful wallet I have ever seen. 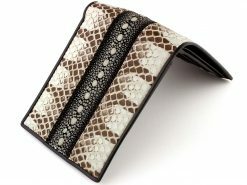 He absolutely loved it and always gets so many compliments when he takes it out. The quality is amazing, could not be happier with this purchase!